Enables Lync Server 2010\2013 administrators and helpdesk agents to configure delegate-ringing and call-forwarding settings on behalf of a Lync Server user. This tool also allows administrators to query the call-routing settings that are published for a particular user. 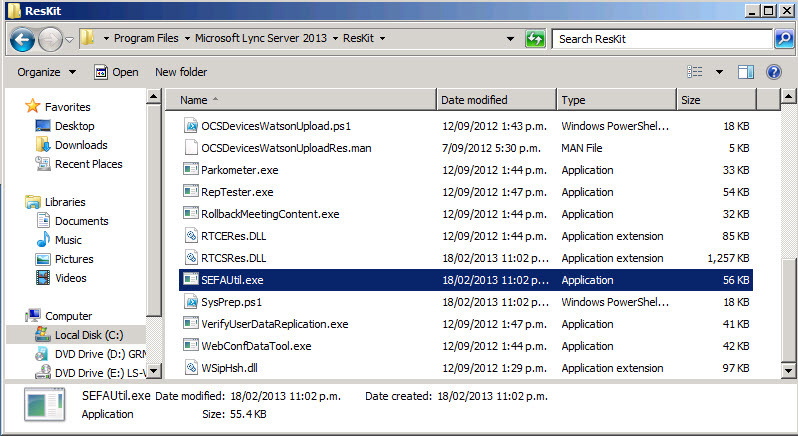 SEFAUtil is installed as part of the Lync RESKIT (2010 & 2013). The pc\server from which the SEFAUtil.exe will be run needs to added as a trusted application, allowing the machine to query the Lync databases. 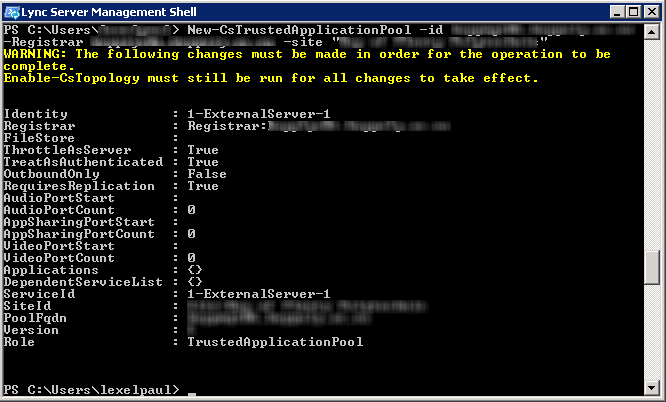 This means that a trusted application pool needs to be configured to which this trusted application belongs to. In summary, trusted applications belong to trusted application Pools. There are a number of switches that can be used, when no switches are used then SEFAUtil displays the call forwarding settings of the user. Below is the list of switches found by using /?